Since the early 2000s, Russia has demonstrated its growing power and rising international ambitions. However, despite the impression of a strong state, Russia remains a country with a GDP comparable to Spain’s, severe structural problems in its economy, and demographic decline. Furthermore, Moscow’s ability to implement the rule of law over the whole Russian sovereign territory remains questionable, while Chechnya provides an example of Moscow’s incomplete control over one of its national republics. The mass protests by Muslims in Moscow on September 3rd 2017 organized by the Chechen leadership against the persecution of the Muslim Rohingya minority by the Buddhist majority in Myanmar, have demonstrated the increasing complexity of the relationship between Moscow and the Chechen leadership. In the past, Moscow’s reaction to violence in Myanmar has been sluggish, with Moscow officially abstaining from condemnation of the Myanmar authorities. This time, the unauthorized voices of the Chechen leadership surprised the Russian leadership. The next day, the Chechen leader Ramzan Kadyrov, gathered a million people for a demonstration in the Chechen capital Grozny. The entire population of Chechnya is about 1.4 million people. The participants came not only from Chechnya but also from the neighboring Caucasian Republics: Dagestan, Ingushetia and others. These demonstrations show the high mobilization potential of the Chechen leadership which extends beyond the borders of the Chechen ethno-national group. Moreover, at the demonstration in Grozny, Kadyrov threatened to make a stand against Russia, in the event of possible Russian support for the Myanmar authorities. This is an extraordinary expression of defiance against the Russian leadership in today’s authoritarian Russia. It seems that the developments in Myanmar have been used as a cause for the mobilization of protests in general. One could argue that a more pressing reason for these demonstrations lies with the aspiration of Kadyrov to cement his independent position as a regional leader in the North Caucasus. Moreover, through religious rhetoric and symbols, Kadyrov strives to represent himself as the political leader and protector of Russia’s Muslim community. The rising religiosity of Russia’s Muslims, especially in the North Caucasus, provides Kadyrov with an opportunity to overcome, to some extent, the inter-ethnic differences of the multi-ethnic population in the North Caucasus and to unify it on the basis of the Islamic identity. During the First Chechen War, Ramzan Kadyrov and his father, Akhmad Kadyrov, the Chief Mufti of Chechnya, fought against the Russian Federal Forces for Chechen independence. However, during the Second Chechen War, Akhmad Kadyrov sided with Moscow because of the strengthening of Wahhabi influence in Chechnya (the Kadyrov’s taip belongs to Sufi tariqa) and because of his personal ambitions to lead Chechnya. In 2000 Akhmad Kadyrov was appointed Head of the Administration of the Chechen Republic by Putin and in 2003 he was elected President of the Chechen Republic. However, in 2004 he was assassinated. After Akhmad’s death, his son, Ramzan Kadyrov, was appointed to different senior positions in the Chechen government, and eventually in 2007 he was appointed by Putin as the Chechen President. The role of the local strong man who should provide stability in Chechnya has been imposed on Ramzan Kadyrov. He helped to pacify the situation in the Chechen republic and guaranteed the loyalty of the Chechen leadership to Moscow. In exchange, Moscow has since provided significant resources for the reconstruction of Chechnya’s infrastructure destroyed by the two Chechen Wars and for Kadyrov’s power structures and loyalists. Moreover, Kadyrov de-facto has received permission to govern Chechnya according to his will through practices of suppression of opposition, while basic norms of democracy have been neglected. Kadyrov’s power is based on well-armed Republican military formations controlled by him, while the total number of fighters may reach up to 30,000. Kadyrov has established a regime of personal dictatorship, with some elements of a theocratic state, completely independent from Moscow in terms of the regulation of everyday life in the republic. 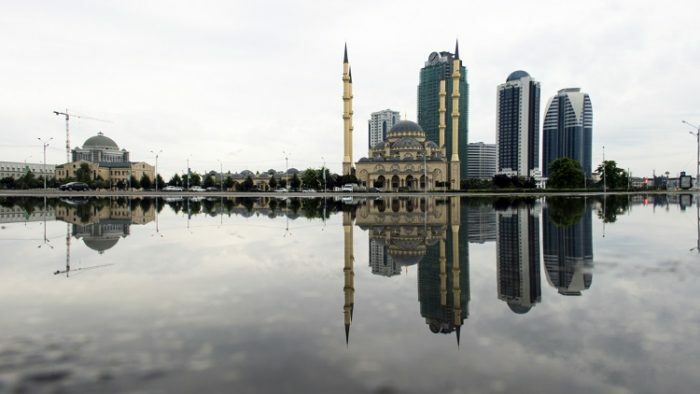 Islam has become one of the most visible pillars of his legitimacy in Chechnya. Currently, Kadyrov is loyal to Putin personally, but not to the Russian constitutional order. At the same time, a significant part of the Chechen military formations loyal to Kadyrov consist of former militants who have fought against Russia in the First and Second Chechen Wars. These individuals swapped sides at a later stage, for personal and economic reasons, and thus started to cooperate with Ramzan Kadyrov. Therefore, their loyalty to Russia is highly questionable. Furthermore, the subsidies from Moscow comprise 80% of the Chechen budget in 2017. What this indicates is that the loyalty of Kadyrov to Moscow and stability in the republic appears to largely depend on Moscow’s ability to provide Kadyrov with resources and consequently his ability to redistribute the resources among his supporters. Moreover, the fast-growing Chechen population forces Kadyrov to demand more resources from Moscow. From 1990, the number of Chechens in Chechnya has almost doubled. This situation is aggravated by the ineffective and weak Russian economy, which one day may not be able to provide the necessary resources. On the other hand, through mass demonstration and provocative statements, Kadyrov demonstrates his rising demands, influence and ambitions. In sum, Moscow needs stability in Chechnya and generally in the North Caucasus, which are characterized by a distinct religion and ethno-national identity in comparison with the core Russian regions, while Kadyrov is one of the strongest figures who can provide this stability. At a first glimpse, the Russian leadership has reached this goal. However, one can wonder how long Kadyrov will be loyal to Moscow, given his rising ambitions and the complicated political and socio-economic situation in the North Caucasus. Eventually, a combination of these factors may undermine the stability of the North Caucasus and unleash a new large-scale conflict. This, in turn, may undermine the Russian capabilities to project power outside its borders, including its ability to intervene in the Near-Abroad and in more distant regions, such as Syria. Alexander Tabachnik is a PhD candidate at Haifa University’s School of Political Sciences. Alexander researches the post-Soviet sphere, ethnic nationalism, separatism and the Russian foreign policy.